Saturday night the Georgia Swarm (7-2) defeated the Rochester Knighthawks (2-6) 16-12 in front of 7,478 fans at Connor and Ferris Field at the Blue Cross Arena. Both Rochester and Georgia had played the night before. 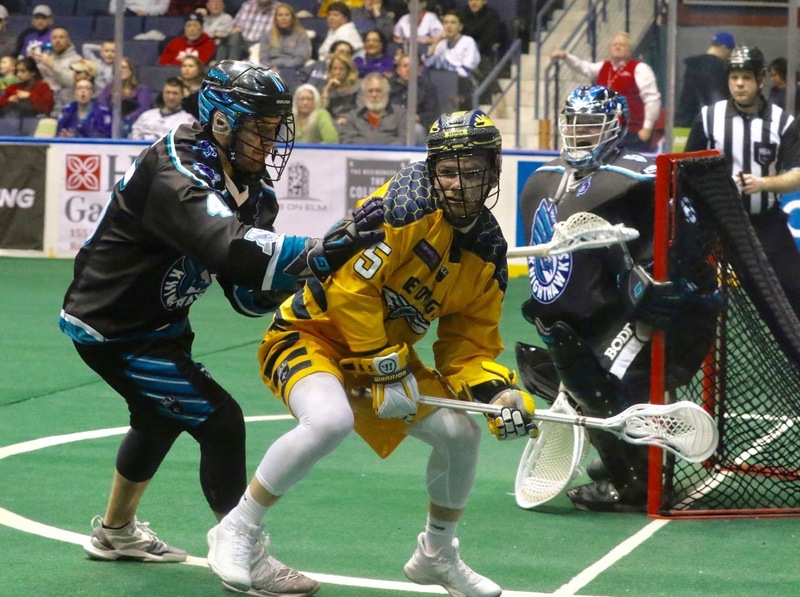 The Swarm defeated the Black Wolves 10-8 and Rochester fell to Philadelphia 15-14 in overtime. The weekend sweep of victories for the Swarm has tied their best start ever at 6-2. Before the game the Knighthawks retired the jersey #24 worn by John Grant Jr., who spent 11 years playing in front of the Knighthawks’ faithful after being drafted first overall in 1999. Grant spent 11 of his 18 NLL professional seasons in Rochester before heading out west to Colorado, where he is now a coach with the Air Force lacrosse team and the MLL’s Denver Outlaws. 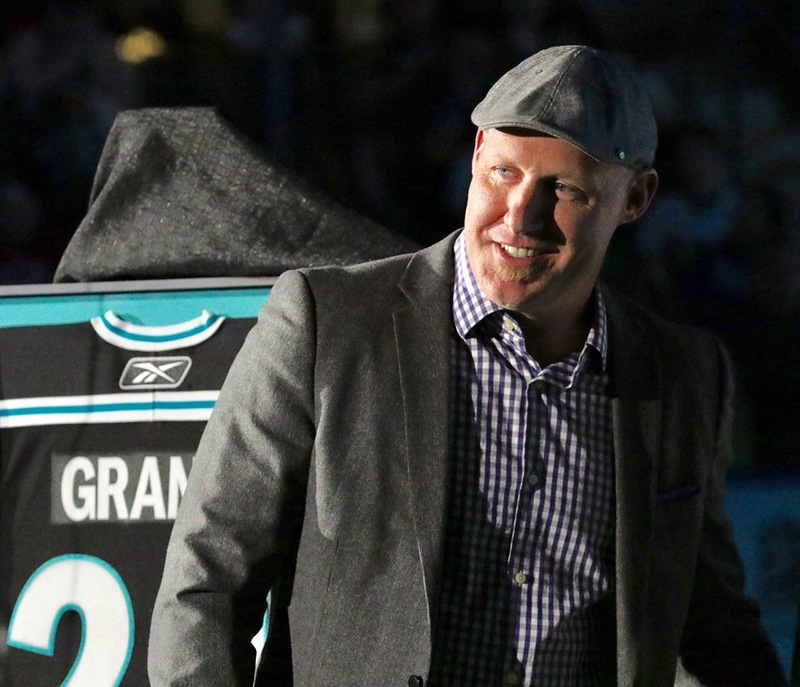 Grant would leave as the all-time leader in goals (433) and points (894). His 461 assists in Rochester were good enough to make him 2nd all-time in Knighthawks History. Grant was also named MVP in 2007 while winning the NLL Champion’s Cup. He was a star at every level he ever played. After both teams swapped goals, the Swarm’s Holden Cattoni fired in three straight to give the Swarm control of the game. Rochester cut the lead in half, but Lyle Thompson threw a dagger in any momentum as he would score on the power play with only two seconds left in the first quarter. Neither team could really gain momentum in the second quarter, but Rochester outscored the Swarm 4-3 and trailed by two going into the second half. Kevin Orleman made his first NLL career start in goal and earned his first win. The third quarter would be a lot of defense on both ends of the field until the Swarm broke through with Shayne Jackson’s goal at 9:13. Thompson and Cattoni added goals before Rochester was able to stop the bleeding. The fourth quarter was the exact opposite with a scoring explosion as both teams combined for 10 goals, scoring five times each. Cattoni’s five goals matches his career-high in goals in a single game, and Staats tied his career-high in single game points with 11 while setting a new career-high in single game assists with eight. Cattoni (5G/5A), Lyle Thompson (4G/5A), Randy Staats (3G/8A), and Shayne Jackson (3G/4A) led the Swarm attack. Orleman stopped 33 of 45 shots for his first career NLL victory. Austin Shanks (4G/1A), Cody Jamieson (1G/6A) and Cory Vitarelli (3G/1A) led Rochester. Both teams return to action Saturday February 9th. Georgia will host Buffalo and Rochester will visit New England.